Purchasing an annual pass to any of Central Florida's major theme parks — Busch Gardens Tampa Bay, Disney World, SeaWorld Orlando, and Universal Orlando — has its perks. Annual pass holders are not only assured unlimited admission to their favorite theme park throughout the year but may enjoy extras like free parking, discounts on merchandise, food, and beverages plus additional benefits. Of course, all of this comes at a price. Annual passes can easily set a person back a few hundred dollars per year, making the fun just too expensive for many. For those who have considered buying an annual pass to their favorite theme park, but thought they couldn't afford it... there is now an affordable option. Monthly payments. Instead of shelling out hundreds of dollars in cash or charging the entire amount to your credit card and paying finance charges, Florida's theme parks are now accepting no fee, interest-free payments for their annual passes. Here are the parks' payment plans and how they work. Disney World has just recently started offering a monthly payment program for Florida residents who purchase annual passes. 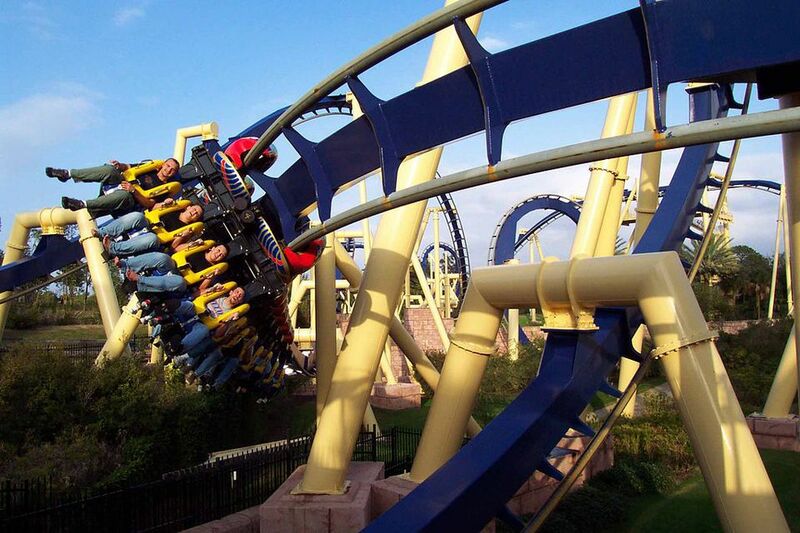 At the time of purchase online, a down payment equal to a non-discounted, one-day, one-park theme park ticket, plus tax is charged to the purchaser's credit card and the balance is divided into 12 equal installments that are automatically billed to the provided credit card. No finance charges* are added, but fees may be charged for late payments. Only available to Florida residents. The payment plan is available online only — not available at Disney World theme park ticket booths or by phone. Purchasers must have a Florida driver's license or state-issued ID card with a Florida address. Purchasers must be at least 18 years old. The annual pass is valid one year from its date of issue — they will not be automatically renewed. Current annual passes cannot be renewed online. Presently the payment plan is available only for the purchase of new annual passes only. There is a limit of 8 annual passes per purchase. Purchaser prints an eCertificate at home and takes it, along with a photo ID and required proof of residency, to any Disney World theme park ticket window for redemption. Customize your annual Passports at either BuschGardens.com or SeaWorld.com. The steps are simple. Pick your park by choosing from any or all these fabulous theme and water parks — SeaWorld Orlando, Busch Gardens Tampa Bay, Aquatica, and Adventure Island. Pick a one or two year plan (right now get the second year half off); and, finally, choose to either pay the full amount or select the EZpay monthly price. The EZpay program divides the amount into 12 equal payments that are automatically billed to your credit or debit card — no bills, no checks to write, and no finance or interest charges* are added. A credit card is billed monthly. EZpay can only be canceled after completion of 12- or 24-month commitment. After 12- or 24-month commitment, EZpay rolls over to month-by-month that can be canceled at any time. Upgrades to a higher-value Passport may be made to add parks or additional members. An increase will be made to the monthly payments and a new card will be issued. Downgrades (removing parks or members) can only be made after the initial membership term has expired. No restrictions apply to credit card changes. Credit card numbers can be changed at any time. The purchaser may avoid shipping charges by printing an eVoucher at home and taking it to the park's self-service kiosks outside the main gate. Follow the instructions to obtain your Passport and take it to the turnstiles. You will be asked for a valid photo identification (drivers license or passport) and possibly the credit card you used to purchase the Passport. Florida residents may purchase Universal's annual passes — Power Pass, Preferred Pass, and Premier Pass — on a flexible payment plan called FlexPay. A down payment is required, with the balance payable in equal payments stretched over 11 months. The annual pass will begin the date the pass is first used, not the date of purchase. Limit of six (6) annual passes per FlexPay contract. FlexPay accounts may not be canceled prior to the 12-month initial term. Individual members may not be removed from your FlexPay account prior to the 12-month initial term. FlexPay annual passes will automatically renew at the end of the 12-month billing period on a month to month basis — monthly payments are subject to change at that time. Written notification of cancellation must be received 30 days prior to the end of the contract in order to cancel the automatic renewal. There are many advantages to purchasing annual passes on a payment plan. Monthly payments are designed to make annual passes affordable. Purchase of an annual pass locks in current pricing during the initial membership term. Passholders may visit as many times as they like and will pay no parking fee — a $10 to $15 saving each visit. No finance fees or interest charges* added. Of course, a disadvantage to purchasing annual passes on a payment plan is the possibility of accruing finance and interest charges on unpaid credit card balances, making the purchase more expensive over time. Additionally, payments may become burdensome if personal finances change over the commitment period of one or two years. Considering the price theme parks charge these days for single-day admissions and parking, just three to five visits per year make annual passes worthwhile. Of course, the more you visit, the less each visit effectively costs. These plans will provide the most benefit to those who are more likely to pay off their credit card bills in full each month, or who use a debit card for the purchase. Please note that while theme parks may not add finance or interest charges to their payment plans, you may pay interest and/or finance charges on any unpaid credit card balance. Are Multi-Park Tickets a Good Deal? It Depends.